Hope you all had a great weekend. To kick off this drab Monday i Cape Town, I’m doing a small review on the new mini collection from Morgan Taylor for Summer titled “A Very Nauti-Cal Girl”. You all know how much i love my mini’s from Morgan Taylor. I think i have just about every one that’s come out and sold at Dis-Chem store. 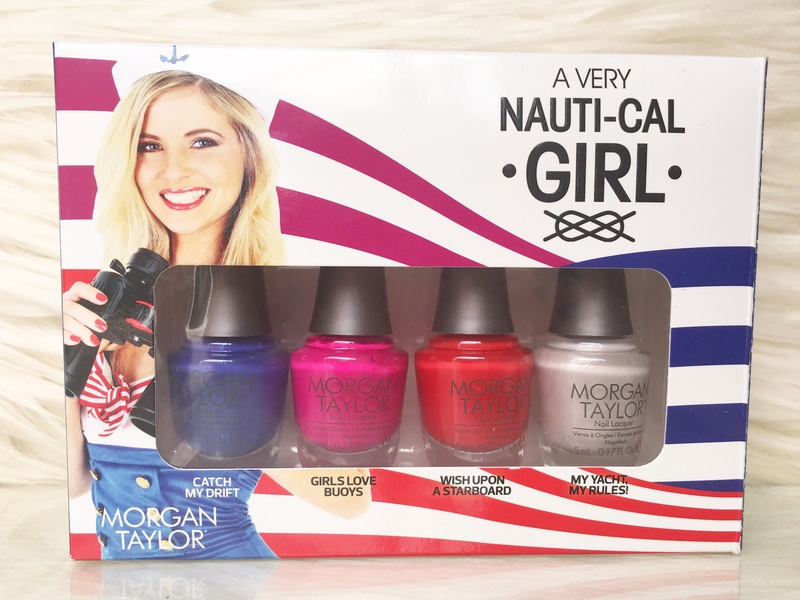 Whats they say It’s time to hop aboard this season with an array of courageous and splashing shades, setting the anchor of style during the sun-filled months with the Morgan Taylor A Very Nauti-cal Girl Collection. 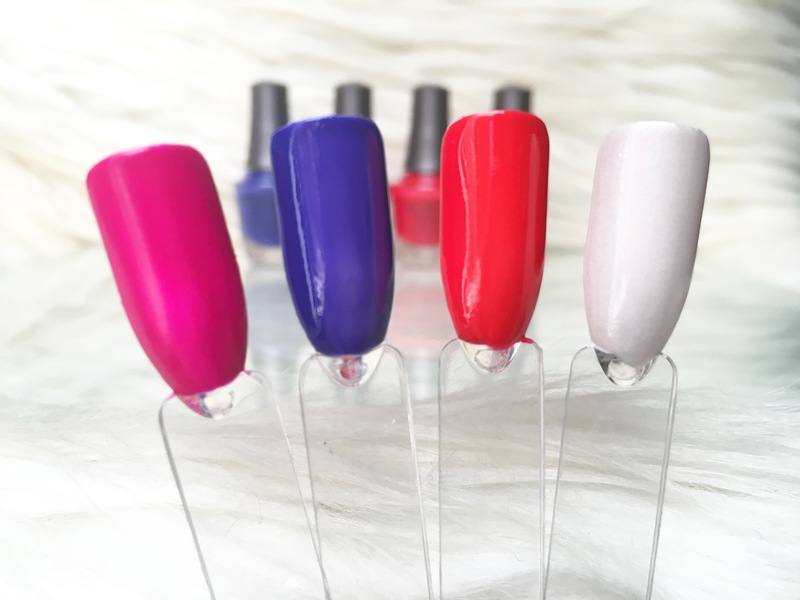 This 4 piece mini set has 3 colours and 1 shimmer and can be bought from Dis-Chem for R220.00 I picked up the last box at the Canal Walk branch so not sure if there are any left. Girls Love Buoys is a vibrant creme neon magenta pink and the perfect colour for Summer. This colour dries semi matte due to the neon and i find the photo doesnt do justice to the actual colour itself. It applied very easily with 1 thick coat. Wish Upon A Starboard is a creme bright cherry red and i find its a colour you can wear all year round. Winter (christmas time and santa claus), Spring (bright blooms), Autumn/Fall (red leaves falling off the trees) and Summer!! It applied easily with 2 think coats but can also work well with 1 thick coat. My Yacht, My Rules is a shimmery frosty white colour and to my surprise, my favourite of the set. It was slighty streaky after 1 generous coat but evened out after a top coat. It such a beautiful colour. Not sure if its a Spring/Summer colour, i think its suits Winter but who cares as its so stunning!